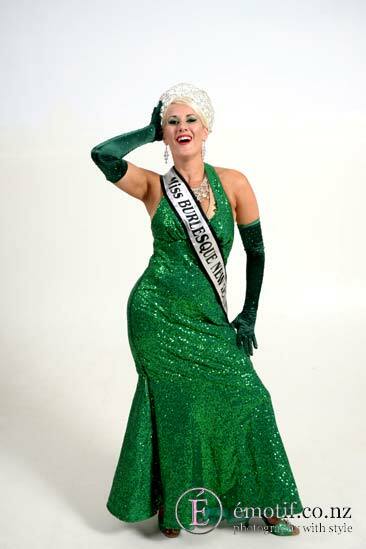 As I prepare for my step down performance as the reigning Miss Burlesque New Zealand, I thought I would reflect on the last year and pass on some words of wisdom(or not so much) to the contestants. The last year has been one of the highest highs and the lowest lows since winning MBNZ. 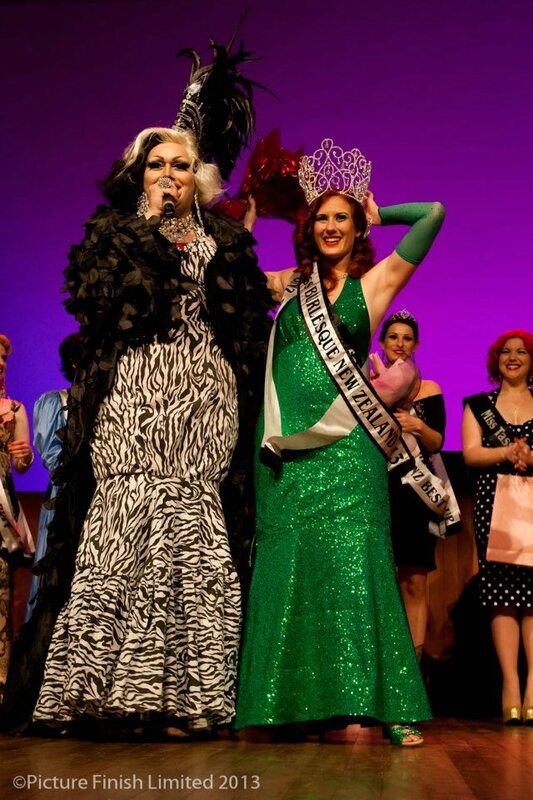 I got to head to the Australian Burlesque Festival as a performer and judge of the Baby Bombshell competition. I unfortunately had to turn down the opportunity to be the first New Zealander to perform at the Show Me Burlesque and Vaudeville Festival in Saint Louis Missouri USA. I produced the largest burlesque event ever seen in New Zealand (and no doubt the most expensive), and experienced the severest low I hope I will ever have to as a result of the stress of it all. Throughout it all I have learnt more about myself as a performer, a producer and a person. I now believe I am better for those experiences. Although I wasn’t able to capitalise as much as I would have liked to on my MBNZ title win, I can say it has however giving me great satisfaction to include it in bios, marketing material and such in the hope that it’ll bring more weight to my experience, even though it’s only been 3 years since I’ve been involved in the art. The best thing about my win was that I also won the Miss Tease Title. This meant I had the most classic act of the night. I won with a classic styled act, something that had not been done in the 4 years of the competition. Personally though, it has allowed me to agree with what others had been saying for a long time before hand…. I am good enough. In fact, one day, I’m going to be even better. For those heading to the competition this weekend, enjoy yourself. It’ll be a great evening’s entertainment and camaraderie. My advice to all the performers: Relax. Just smash it out, put all your energy into it but forget that it’s a part of competition. It’s just another performance and you should put everything into every performance. Focus on your own performance not that of others, and work the crowd. WERK IT!! My advice to the competitors who don’t walk away with the title: Never believe you weren’t good enough and don’t give up. As with any competition, it may be that your act was not what the judges were looking for. Remember that even though a criteria is given to the judges, it is still a person’s opinion of how you met that. It doesn’t make you any less of a performer. Good luck to everyone competition tomorrow night including the guys for the title of Mr Burlesque NZ. I can’t wait to see what you have to bring to the table and I hope you all enjoy yourself. Drinks at Rush after ok? My sponsor for the last year FancyFeather.com based in Chicago. You have been amazing. To the man who is my best friend, my confidant, my sounding board, and my husband. The moment I remember the most from my win last year was you running on stage and hugging me despite being told you weren’t allowed to. Thank you for breaking the rules. You are the reason I keep believing I can do this. This entry was posted in Events, Tips and tagged Burlesque, community, Dance, Fancefeather.com, gratitude, MisRed Delicious, Miss Burlesque NZ, New Zealand Burlesque Festival, support, tips. Bookmark the permalink.